← The Liebster Award? I don’t know. It’s a thing, apparently. My shiny, fragile bound manuscript! Yay! I was immediately sucked straight back into the haunted realm of Stroud’s series, it was almost like I’d never been away. The book opens with our three protagonists already in the middle of an overwhelming investigation, and the plot stays at that level of pace throughout the rest of the book, constantly twisting and turning. It’s brilliant to see all our favourite characters back in action, and Lockwood and Lucy are on fine form as a Holmes and Watson style sleuthing team. It’s George who has the great character arc in book two, though – His slow obsession with the Bickerstaff history slowly drives him to distraction, and his friends are so busy searching for the missing artefact, that they don’t notice just how lost their friend is. He becomes distant and haunted, but eventually comes out on top as a truly courageous character, and it’s a slow burning change in him that we as readers are tapped into, even where his fellow agents aren’t. Kipps’ team also show new, less arrogant and more professional sides to themselves towards the second half of the book, making them feel less like the “Karate Kid” style rivals this time. And the introduction of Joplin works as a great parallel to George, but as an adult, demonstrating the same bookish obsessive nature that gets darker throughout the story. The Paperback Jacket for book one. As for the atmosphere – it’s back from The Screaming Staircase, but with more impact than ever before. The way Jonathan manages to create a creeping sense of dread is fantastic – there’s real nods to the classic ghost stories in his writing style (especially M.R. James), and the way he describes the unknowable horrors of Bickerstaff’s experiments really sent a chill up my spine. The history is steeped in a sinister, oppressive feeling that drips from the words, and the mystery is slow and dread filled as it builds throughout the story. Still, just like book one though, The Whispering Skull has great moments of action and genuine humour that snap through the darkness and keeps the characters relatable and fun to read about. 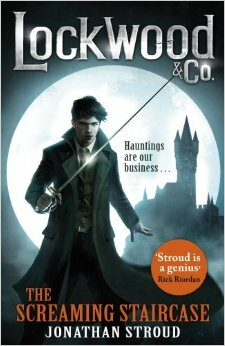 I love the entire team at Lockwood & Co, and I always feel compelled to delve into their misadventures. 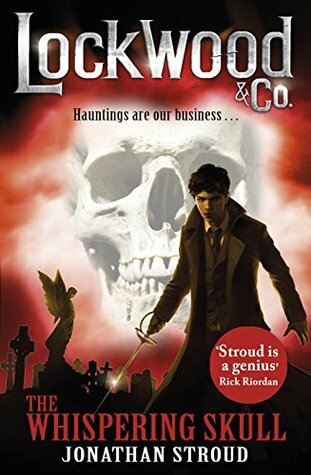 They truly are an ensemble cast on the same footing as Harry Potter and Percy Jackson, and The Whispering Skull is proof that this series is gripping, fun, chilling and so much fun. 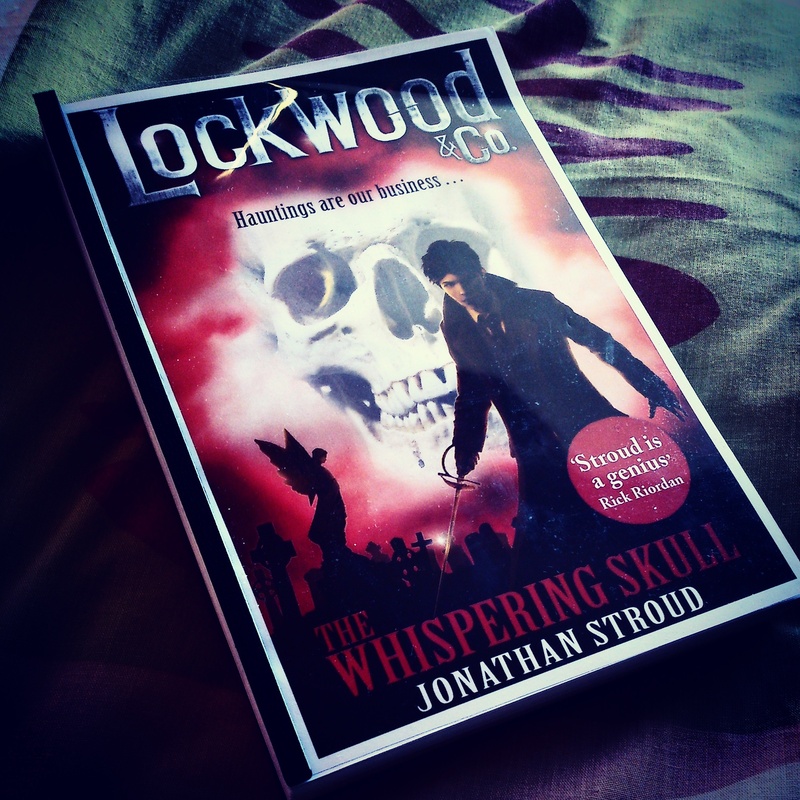 Now, Jonathan Stroud sir, WHERE IS BOOK THREE?! You can’t leave me on *that* ending!! Thanks for Reading, and keep your rapiers to hand, Agents. This entry was posted in 9-12 Fiction, Ghost Stories, Horror for Young Adults, Middle Grade Fiction, UKMG and tagged Ghost Stories, Jonathan Stroud, Lockwood & Co, Middle Grade, The Screaming Staircase, The Whispering Skull, UKYA. Bookmark the permalink. O body swayed to music, O brightening glance,/How can we know the dancer from the dance? This is a blog from Seven Stories, The National Centre for Children's Books, recommending the best in YA fiction and giving you a behind the scenes access to our brilliant YA events programme.